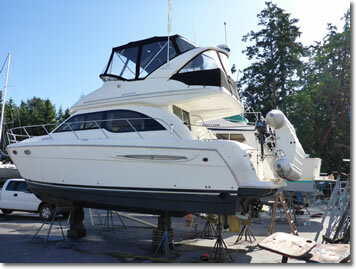 Marine Survey and Inspection services for Victoria, Saanich and Sidney. 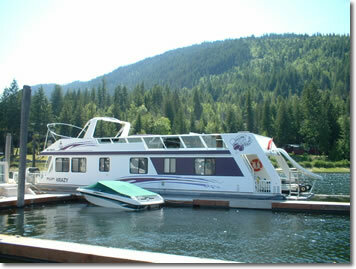 Insurance, pre-purchase and damage surveys for recreational boats and watercraft. A marine survey is a systematic and objective visual examination of a boat, including non-destructive hammer testing and electronic moisture metering to assess fiberglass laminate. A written report provides information about the boat's identification, its structure and fittings, makes recommendations about problem areas and estimates the vessels market and replacement values. A surveyor is expected to provide an independent and realistic assessment of a vessel, with no conflict of interest. An insurance company may require the boat owner to obtain a written inspection to determine the boat's condition and value, the information used to assist the owner in attending to deficiencies and the company in determining its risk exposure. 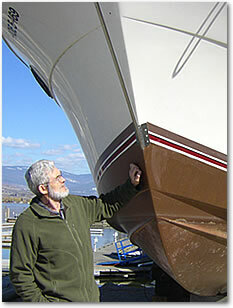 Insurance companies generally require a survey for an older vessel and at intervals throughout its service life. The surveyor is retained by and reports directly to the owner and is not employed by the insurance company. To assist in the decision to purchase a vessel, the purchaser may make the offer to purchase conditional upon the findings of a marine survey. This survey may then be used for financing or insurance purposes. Purchasing a vessel is often as much an emotional affair as it is financial and a marine surveyor's impartial assessment can provide the objective information needed to make a better informed decision. This is carried out to determine the nature, extent and likely causes of damage to a vessel and may include estimates of the cost of repairs. This is usually requested by an insurance company to assist in settlement of a claim. Including travel, time on the vessel and time to research, the report can usually be completed within three days. No, as long as I can have access to the vessel. While concentration, not conversation is required during the survey, you are welcome to be present. A verbal summary of initial findings will be provided to you prior to completion of the written survey.